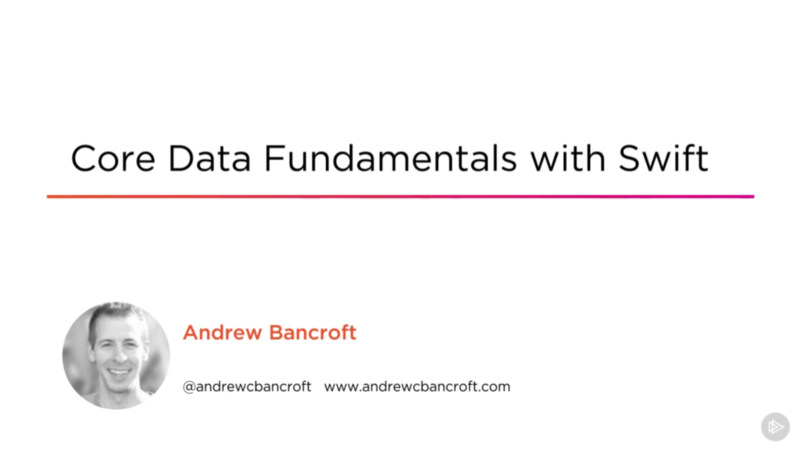 With a Core Data data store seeded with data, the next logical step is to display that data somewhere other than the console. This post will be devoted to figuring out how to set up an NSFetchedResultsController to display data inside a UITableView. A follow-up post has been published to help you keep the table view in sync with the data as it changes in your persistent store, so once you’re finished here, you might check out that next step! 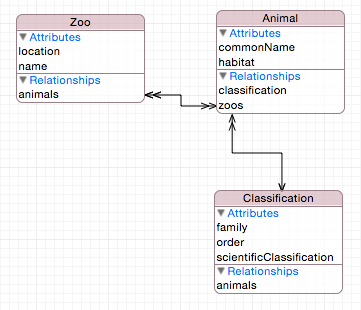 I’m continuing my “Zootastic” example that I used to write about using Swift to seed a Core Data database. In fact, I’ve simply branched the project on GibHub and added the things we’re exploring in this post. 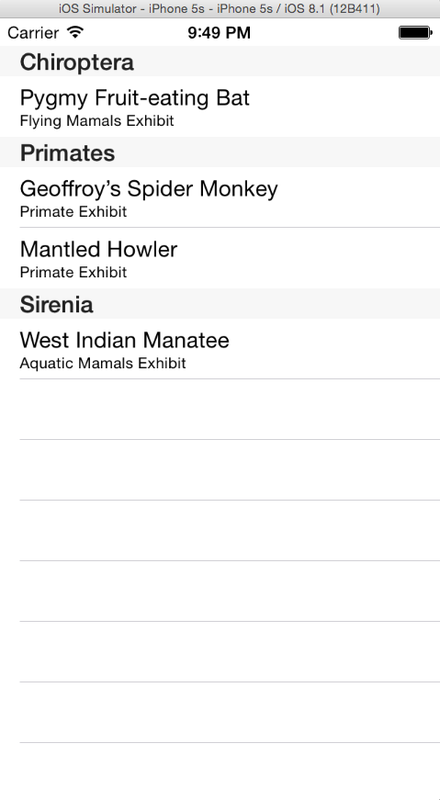 Zootastic is a single view application. The Storyboard contains one view controller with a table view filling the Scene. 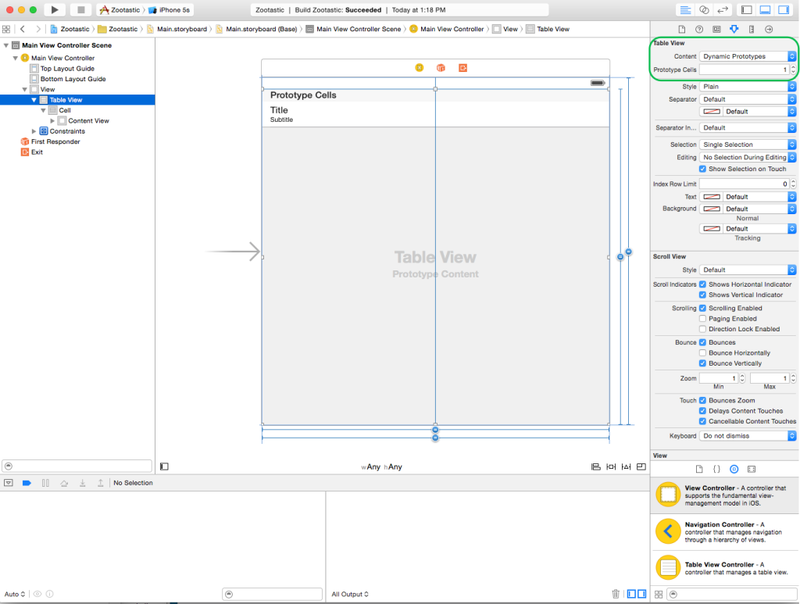 The table view is using one prototype cell with an Identifier of “Cell” (for simplicity). The Style of the prototype cell is set to Subtitle. As you can see, MainViewController is a class concerned with being the table view’s data source and delegate. Additionally, it will serve as the NSFetchedResultsControllerDelegate. For this post, we won’t actually need the fetched results controller delegate functionality to display data. Those methods are particularly useful for synchronizing things when data changes. With the class declaration out of the way, we’ll investigate the class implementation one section at a time. For now, know that we’re counting on that later step to take place, since context is defined as an implicitly unwrapped optional. If you’ve not read Colin Eberhardt’s Swift Initialization and the Pain of Optionals post, I highly recommend it. His post is a fantastic analysis, and the final option of using lazy stored properties initialized by a closure expression is what I’ve chosen to do here. I won’t repeat his analysis here, so feel free to jump over to his post to figure out what’s going on there. Within the closure expression, I’m setting up a fetch request with some sorting applied. All that’s left is to initialize the NSFetchedResultsController, set its delegate and return it. Apart from a bit of if let ___ = ___ syntax, there’s not an awful lot of surprising code here if you’re familiar with working with table views. I’ve highlighted the relevant code related to fetchedResultsController. Without using NSFetchedResultsController, you’d probably supply data to the table view from an array or a dictionary or both. The fetchedResultsController code simplifies the data display dilemma when you’re using Core Data. 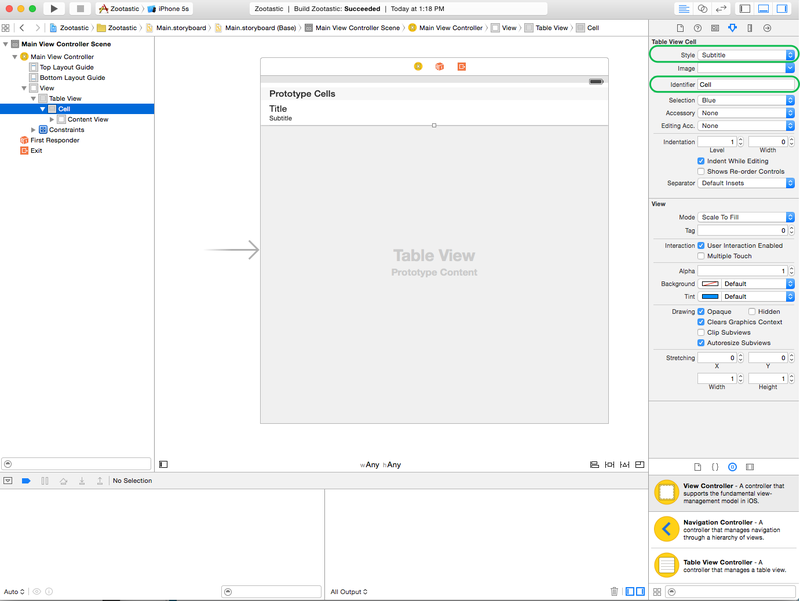 Once the UITableViewDataSource methods are implemented, the implementation of MainViewController is complete for this example. The portion new to “injecting” the managedObjectContext into MainViewController is highlighted. I simply grab a reference to the rootViewController (which in our example is the MainViewController) and cast it to the appropriate type. Then I set the context property to the managedObjectContext that’s created in the AppDelegate via XCode’s auto-generated Core Data stack setup. If you’re using Core Data in your iOS application, the combination of an NSFetchedResultsController and a UITableView provides a powerful way to integrate data from your data store into your UI. We’ve explored how to display data in a table view using NSFetchedResultsController. Feel free to grab the GibHub project for further investigation and to see Zootastic in action.